Love great-tasting food? 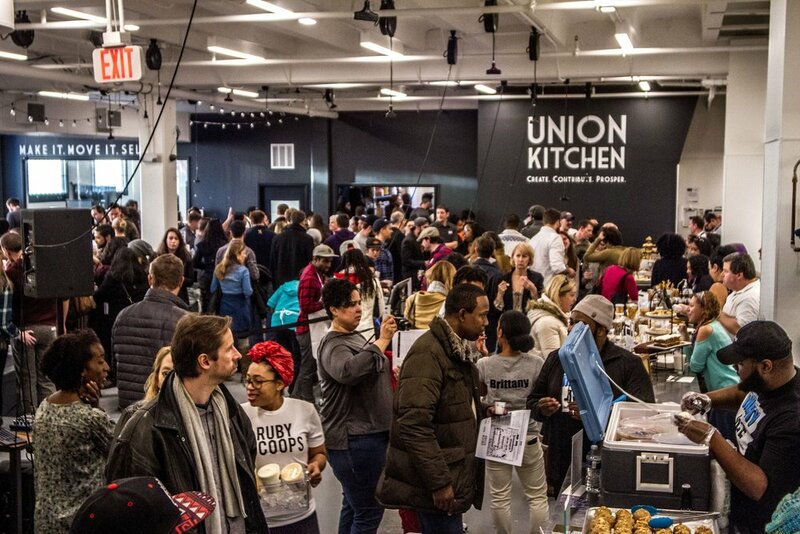 Join the Union Kitchen community from 4:00 - 6:00 pm on Saturday, March 23rd for Meet the Makers! This fun, food-filled event is an opportunity to meet and sample products made by the amazing entrepreneurs and innovators making DC's food scene great! Find your favorite Made in DC brands like Snacklins, Swapples, Eat Pizza, Sip City, Sasya, M'Panadas, and more than 50 additional food and beverage businesses! Tickets are $20 when purchased in advance and a limited number of tickets will be available at the door day of for $25. Your ticket includes food and beverage samples from all participating businesses. Shirts and other merchandise will be available for sale on site as well.